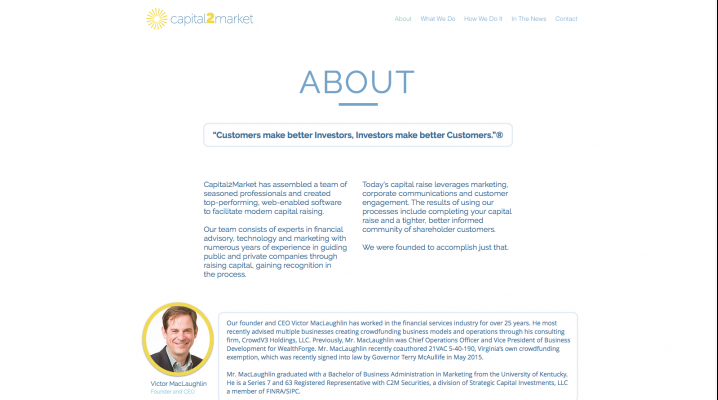 Capital2Market breaks down the barriers for companies seeking to raise capital directly, enabling them to successfully raise much of the capital from their loyal customer base. 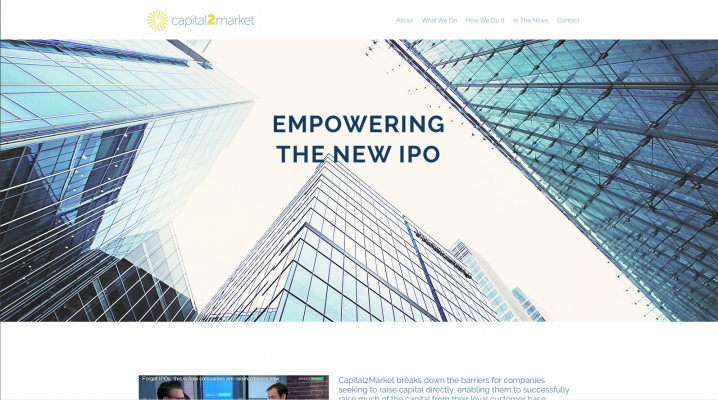 V4 Development worked with captial2market to create a new platform that provides companies the opportunity to raise capital and issue new shares by using digital technology outside the old Wall Street process. 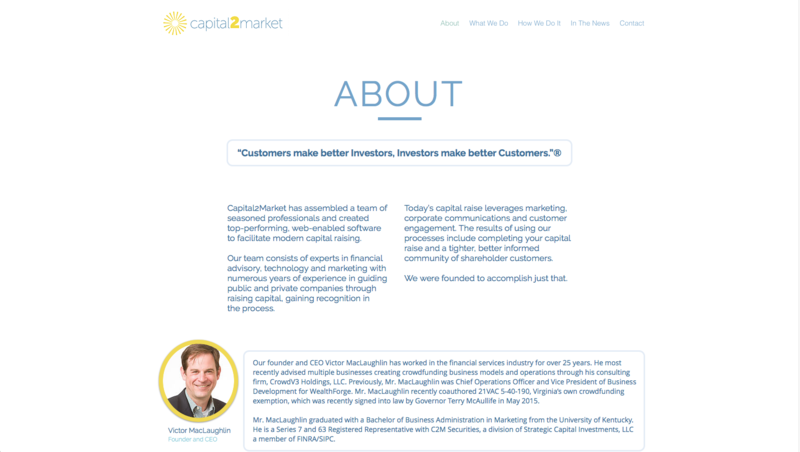 Capital2Market breaks down the barriers for companies seeking to raise capital directly, enabling them to successfully raise much of the capital from their loyal customer base. 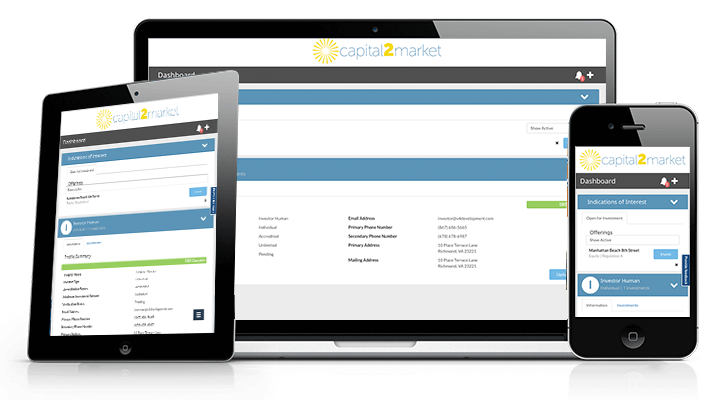 We leverage the technology and the JOBS Act to create a new platform that provides companies the opportunity to raise capital outside of the old Wall Street way. 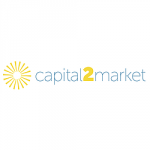 Together we are disrupting the investment banking and venture capital industry for the benefit of entrepreneurs, developers, producers and others seeking to grow. Django Framework, Python, Java 8, Spark Framework, Google App Engine, Flex Environment and MySQL. We are specialists in Reg A (A+) and Reg D offerings, using the JOBS Act.